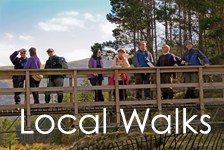 Welcome to the Westmuir Village Website which aims to keep locals in touch with what is going on and to let the rest of the world know what a beautiful area and charming village we live in. 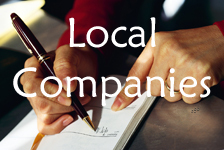 Please let us know if there is anything you would like to see included on the site or about events or activities of local interest and we'll do our best to include them for others to enjoy. 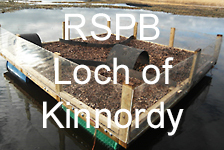 There are now only 3 days left till our Crowdfunder Project closes for donations. If you would still like to donate, please click on the picture below. The Crowdfunder will remain open until 13 April 2019. We have only £50 to go to reach our 'stretched' target so please consider a last minute contributuion if you can. 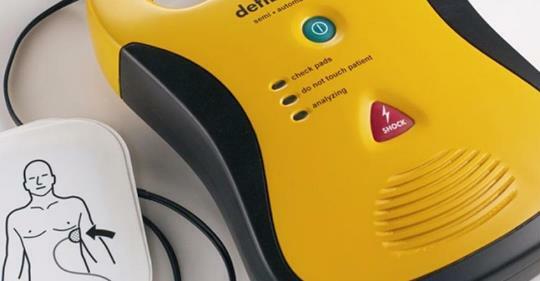 Our existing funds have been raised through fundraising, a donation, and most appreciatively, from a bequest made by a local resident who specified that the legacy should go towards a defibrillator to ensure the Westmuir community would benefit from the donation. More details further down this column. Following the Coffee Morning forenoon, we enjoyed a super evening to round off the 90th Anniversary year of the opening of the village hall in October 1928. Jeremy Morris took us on his journey through the Munros and Isdale Anderson described his long distance trek of the GR20 in Corsica which runs the length of the Mediterranean Island. Afterwards Tom Hopkinson, son of Lord Colyton and his wife Gemma cut a celebratory cake to accompany a glass of Bellini. Pictured with Tom and Gemma below is our own Helen Humphreys who planned, arranged and led all the activities for this special day. 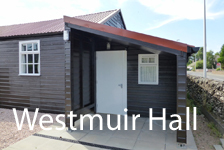 A fantastic job by Helen with lots of help from volunteers and a fitting tribute to 90 years of community, centred on the Westmuir Village Hall. Jeremy Morris - His Journey through the Munros. Cutting the Cake - Tom Hopkinson and his wife Gemma did the honours. Isdale Anderson - Trekking the GR20 in Corsica. There is a full account of the day's activities here. Silent Auction Goes off with a Bang ! The Silent Auction which was held in the hall on Saturday 2 March 2019 was a real community event and raised a total of £437 which is a great contribution towards the running costs of the hall. It was a real social night with wine and a superb spread of finger food, contributed alongside a host of auction items by a large number of volunteers. A huge thanks to the Hall Committee members and others who worked so hard to make this event a roaring success. At the Westmuir Community Development Trust AGM on Tuesday 5th February, it was announced that a generous bequest of £1,500 has been donated to the Westmuir Defibrillator Project in memory of Mr Jim Walkden. This wonderful gift will ensure the success of the project and was given by his wife Mary and their son James and daughter Clare. As a result, the local project team is now able to move ahead and will keep the community and Mrs Walkden and her family fully informed of its progress. All those present at the Trust Annual Meeting expressed their sincere thanks to Mrs Walkden and family for their wonderful generosity. 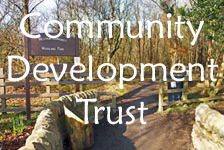 The 14th Annual General Meeting of the Westmuir Community Development Trust was held in the village hall on 5th February 2019 where those present received the Directors' Annual report and the Annual Accounts for the year ending 31st October 2018. 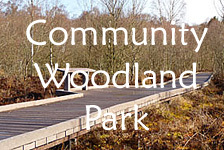 Now that Westmuir has a full representative on Kirriemuir Landward West Community Council, we have access to the latest Local Area Police Reports which are submitted to their meetings as a way of keeping local communities aware of any current areas or issues of concern. You can Read the March 2019 Report Here. Eila's 5th Year of Poetry ! 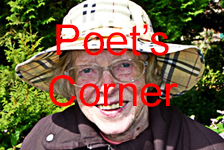 Eila Webster, our local poet, is well into her 5th year of penning a new poem every month for us to enjoy. Her latest composition: 'April's Charm' speaks of Daffodils Daylight Hours and the advent of Spring. In a Special Edition, Eila has written an extra poem this month to celebrate 'Westmuir's Defibrillator' which will soon see this life saving maqchine installed in the phone box next to The Wee Shoppie. Click the image below to enter Eila's world of poetry . . . The WRI in Westmuir came together to celebrate with local resident Eila Webster who has been an active member of WRI for the past 80 years ! Joined by friends for a special event to mark the occasion, Eila said "I have loved my time in the Rural. It has been my life and bolstered my confidence. I was an only child and these friends became my family. I've enjoyed every second of it and made so many happy memories". 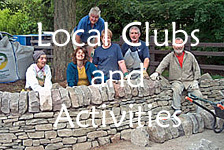 Eila was made an honorary member of Westmuir Rural in 1999 and received a loyal member's certificate in 2012. Congratulations Eila from everyone in Westmuir. Thanks once again to everyone who contributed to a busy day in the Woodland Park on Saturday 28th October when Phase 2 of the new all weather path was completed by spreading a top layer of whin dust to complete the project, made possible by funding received from 'Paths for All' and Scottish Natural Heritage. This was a great community effort coordinated by the Westmuir Community Development Trust and thanks are due not only to Jim Millar and Ian Cobb who kept the project on track, but also to all our volunteers who loaded loaders, shovelled & brushed, raked & tidied up and willingly gave up so much time and effort to complete the work so efficiently. The new path is already well bedded in and being well used. 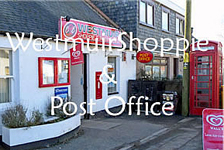 Westmuir is one of seven rural communities which lie within the boundary of Kirriemuir Landward West community council. 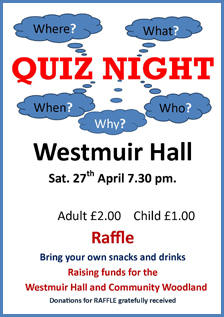 Westmuir is currently being represented by Mrs Helen Humphreys (Westbank, Westmuir) Tele No: 01575 572245 who is able to take any local concerns to the Community Council on your behalf. 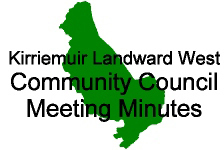 The Kirriemuir Landward West CC meet at 7.30pm in Kilry Village Hall on the last Thursday of February, May, August and November each year.